Happy Labor Day from all of us here at Talking Dogs! Labor Day seems to signal the end of summer and we couldn't let this holiday go by without a Dog Song Saturday celebration. We're wishing we could be at the beach as we watch Dog Beach Boogie. 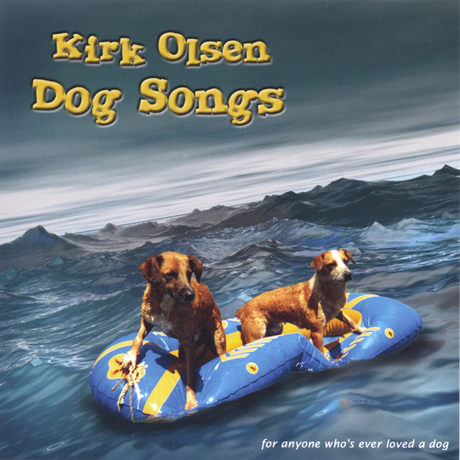 Composed and performed here by Kirk Olsen, Dog Beach Boogie is just one of many dog songs he's created. Sniff around and have a listen at his website. Also known as North Beach, Del Mar Dog Beach in California caters to canines, but does have some leash requirements. Except Labor Day. Sit. Stay. Relax and enjoy Dog Beach Boogie by Kirk Olsen. Then fetch some more genuine dog song music videos at Talking Dogs. You'll be surprised at how many we've collected over the past few years. Happy Labor Day to all of you - hope you're having a great weekend! Thanks for the wishes. It looks like you had a great Labor Day!!!!! Love this video too. Thanks for sharing. I for one am looking forward to some cooler weather! Hope you enjoyed your Labor Day!